Aaron Bass is a real estate attorney with a national practice representing clients located throughout the U.S. on their coast-to-coast real estate transactions. Aaron represents a wide range of real estate owners, operators, and users, focusing in the areas of office, industrial, multifamily, hospitality and lodging, and retail. Aaron represents various clients in their real estate investments, including a national multifamily owner and operator, a real estate investment firm based out of New York, an oil and gas property developer and investment firm based out of Denver, and multiple family offices and private equity groups, among others. 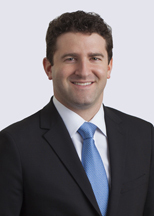 Aaron was featured as one of six top young lawyers in metropolitan Detroit in a 2014 DBusiness article. Represented (and continues to represent) a publicly traded retail REIT in the purchase of single-tenant net leased properties across the U.S.